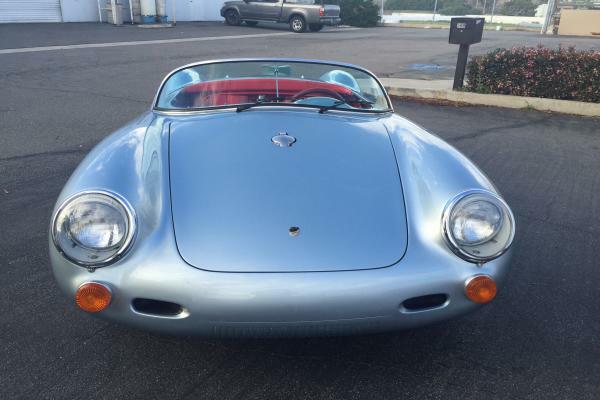 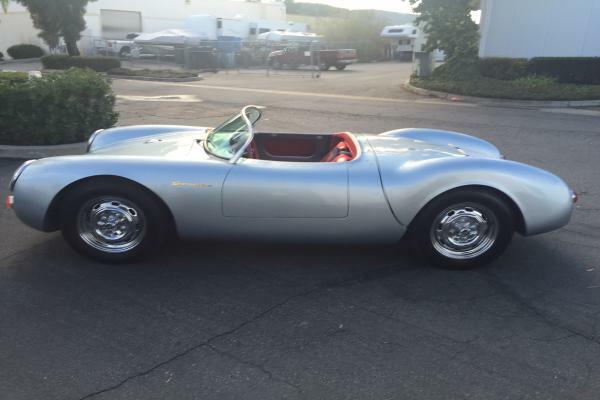 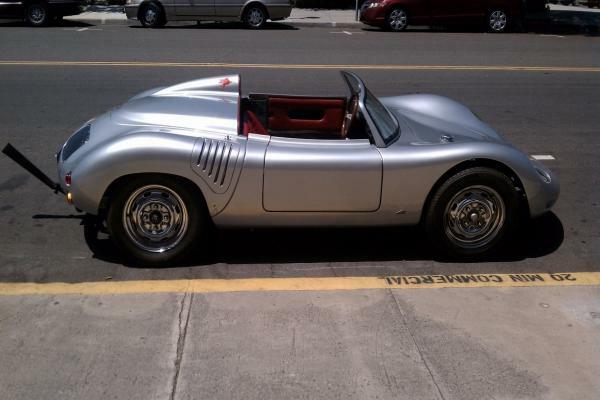 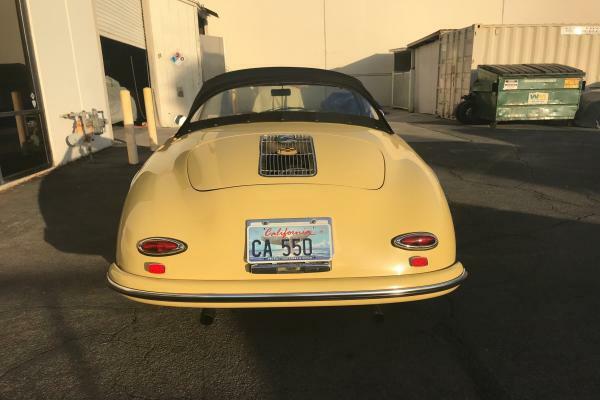 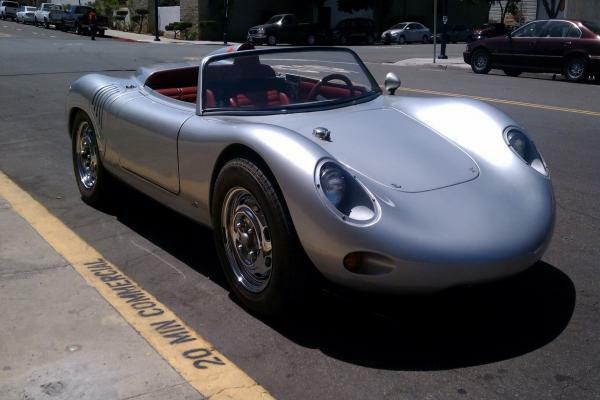 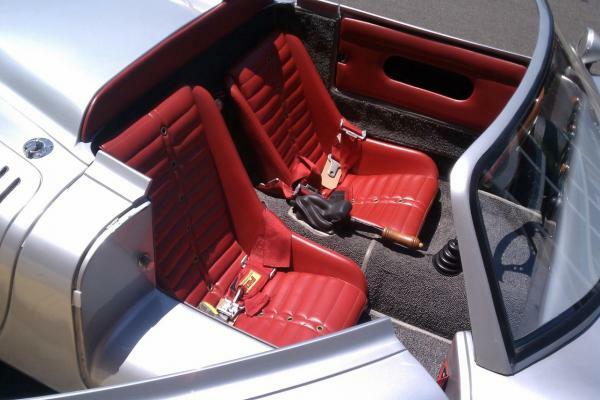 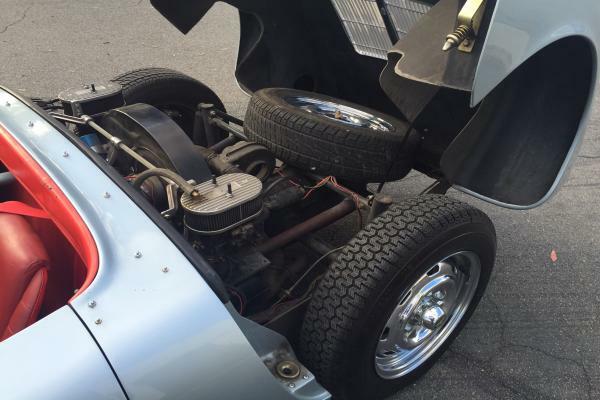 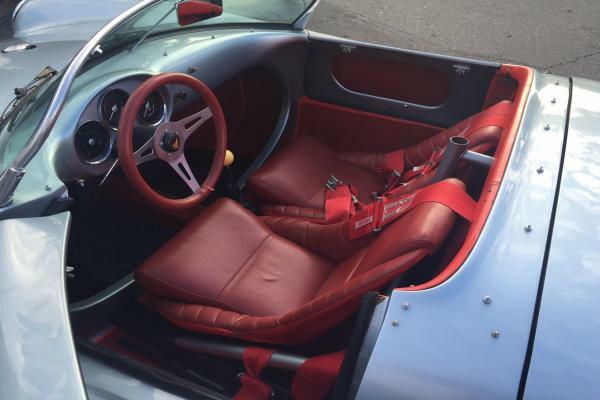 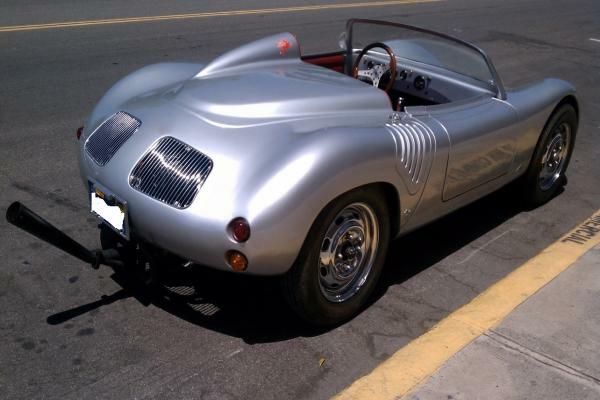 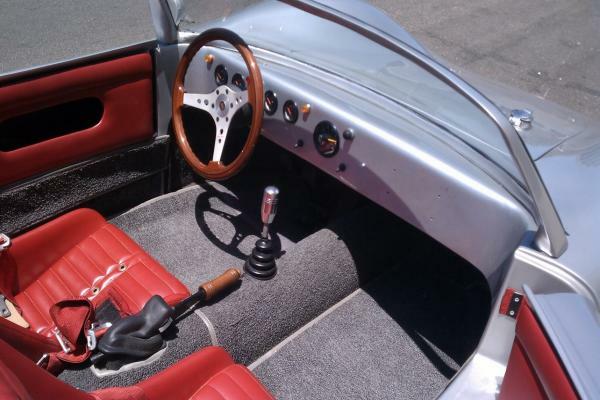 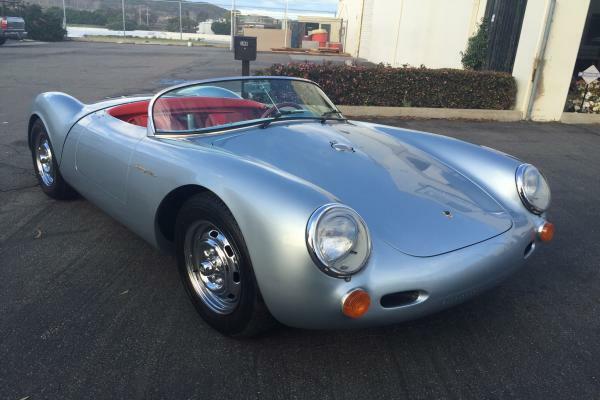 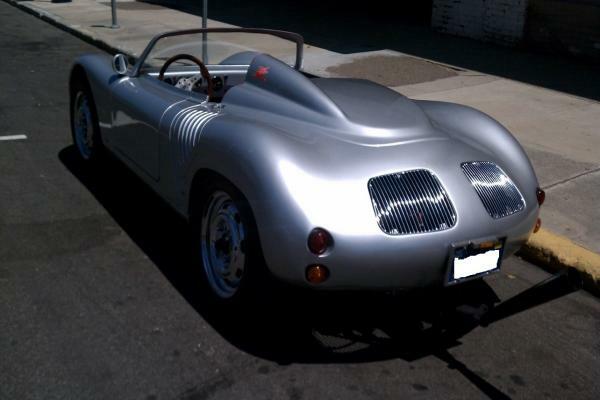 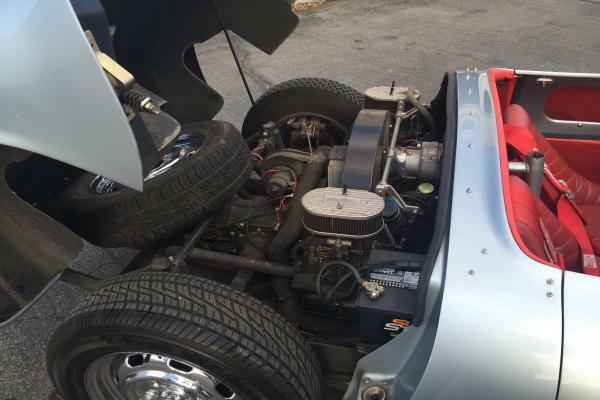 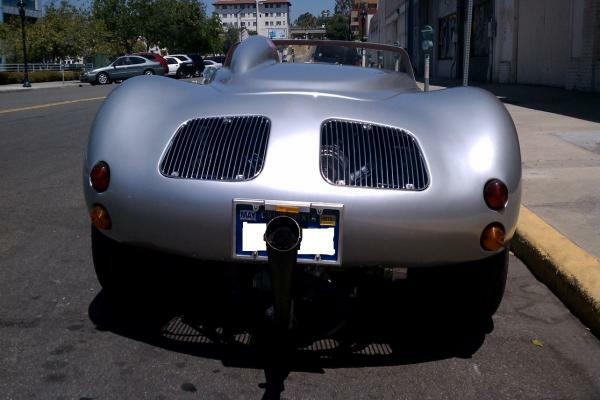 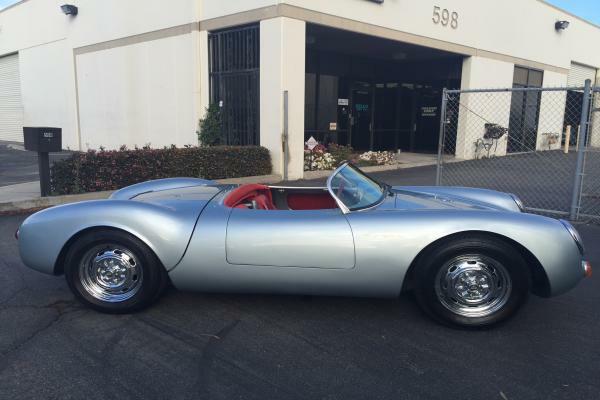 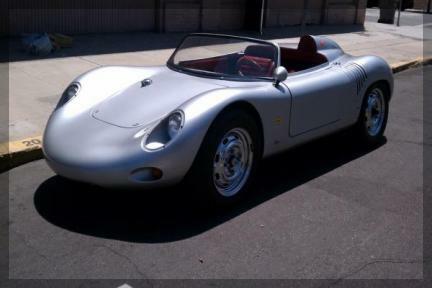 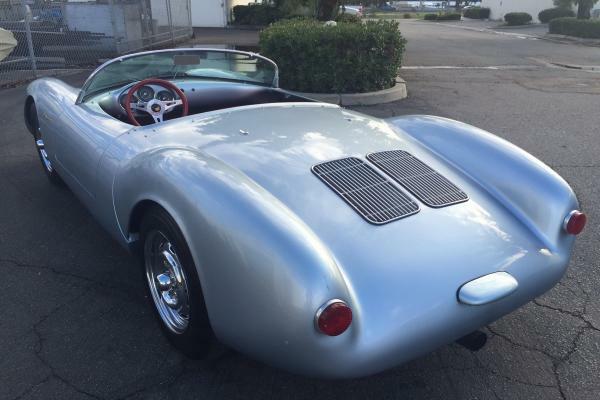 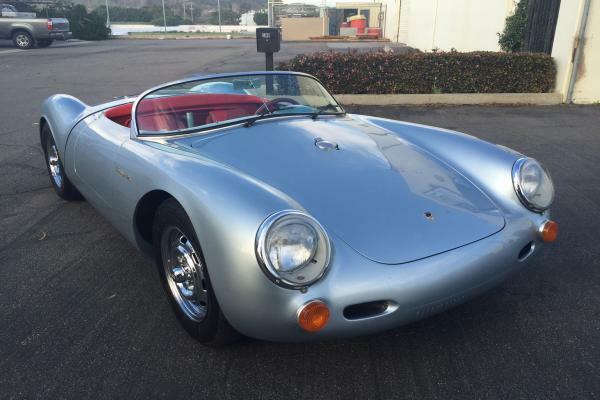 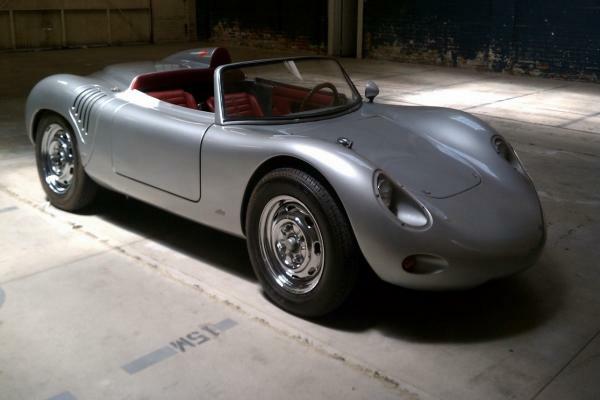 Low mileage one owner Beck spyder built by Chuck Beck in 2000 Beck silver blue exterior with red interior. 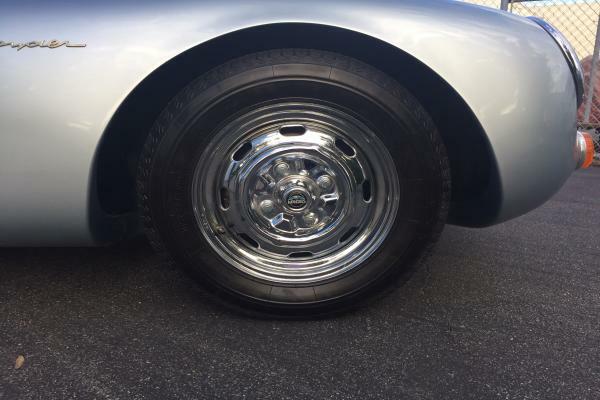 Chrome Mangle wheels. 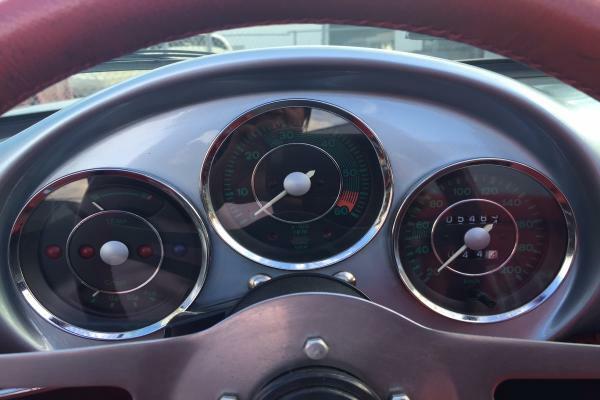 VDO gauges, red leather steering wheel, under 4,000 miles. 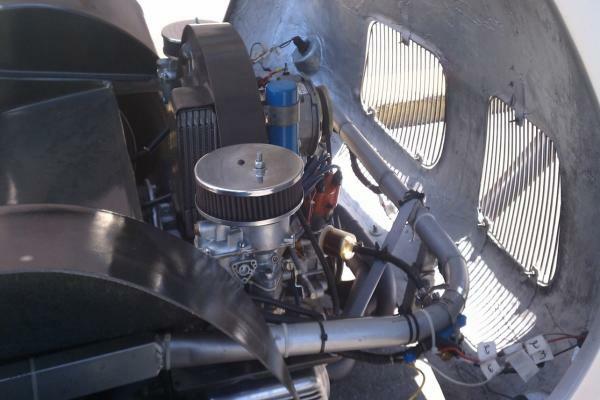 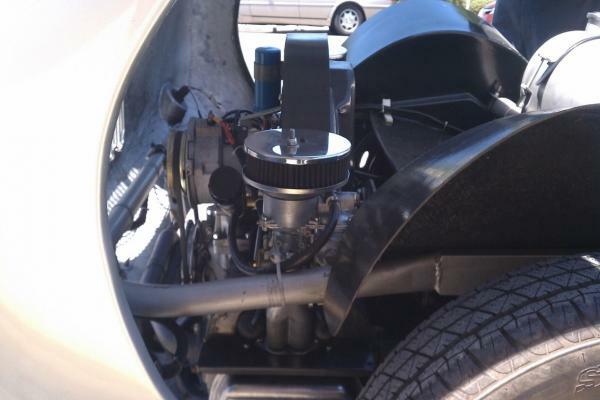 2110cc engine with 4 speed transaxle. 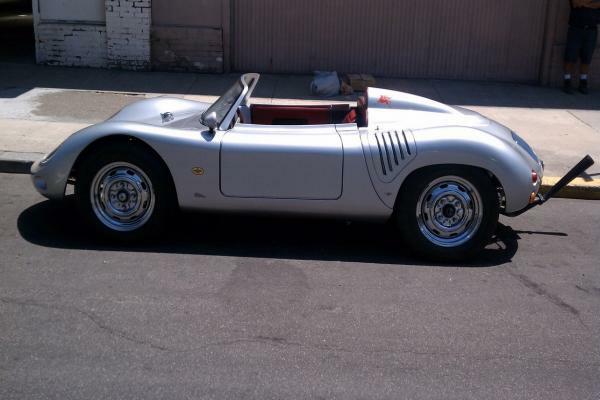 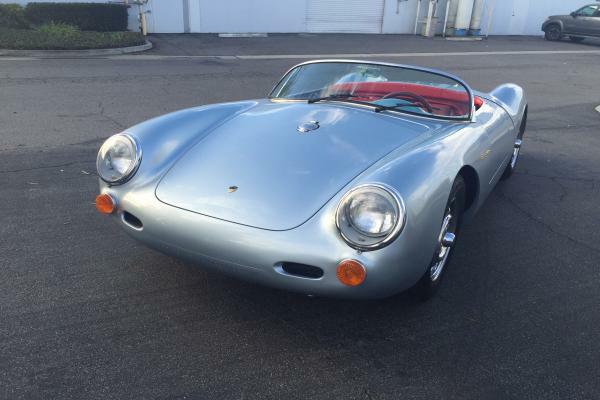 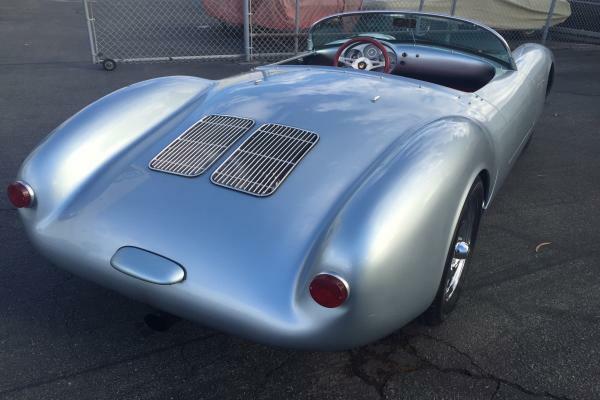 This little spyder is ready for fun and excitement right now! 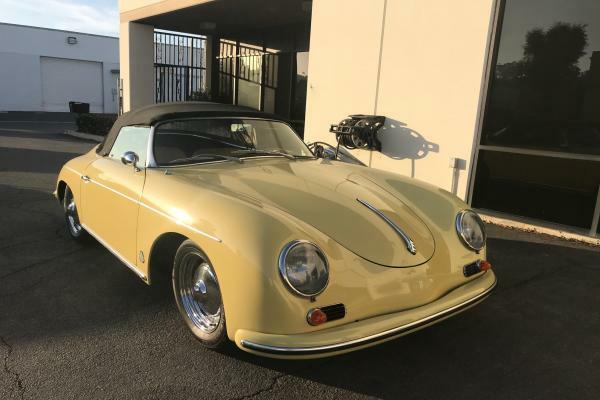 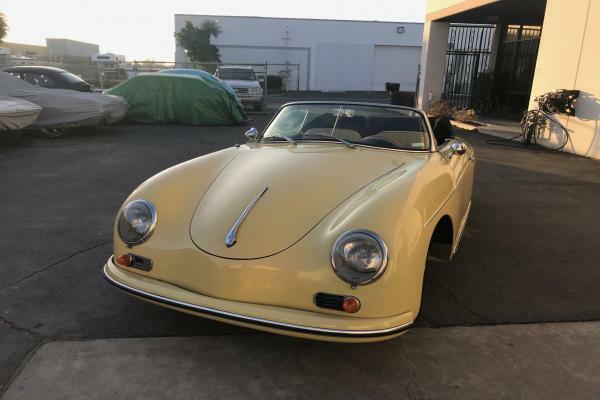 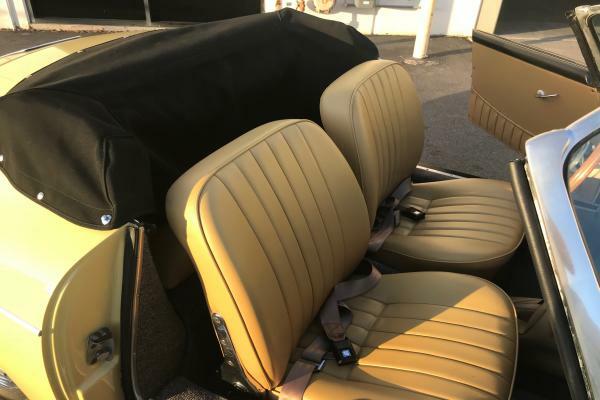 Classic Porsche Champagne Yellow with Black Hartz canvas top, German square weave carpet and tan leather interior. 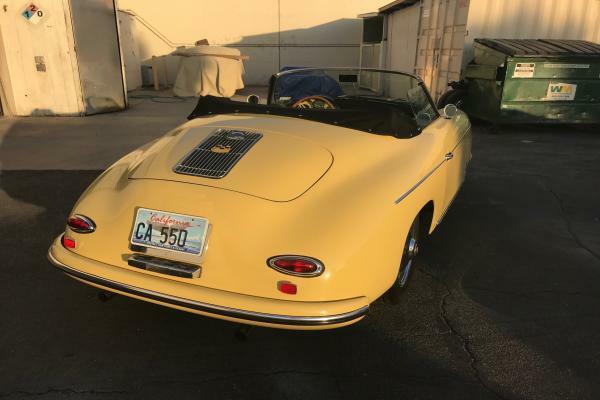 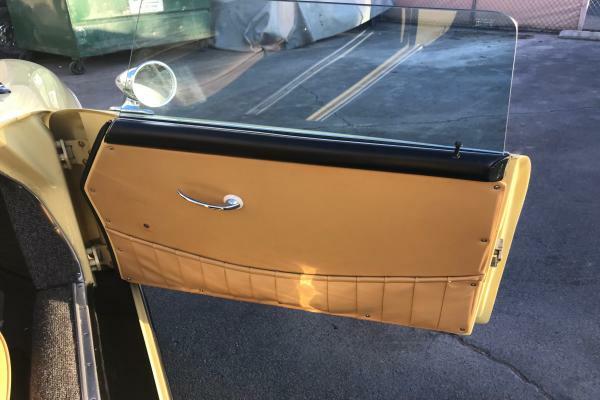 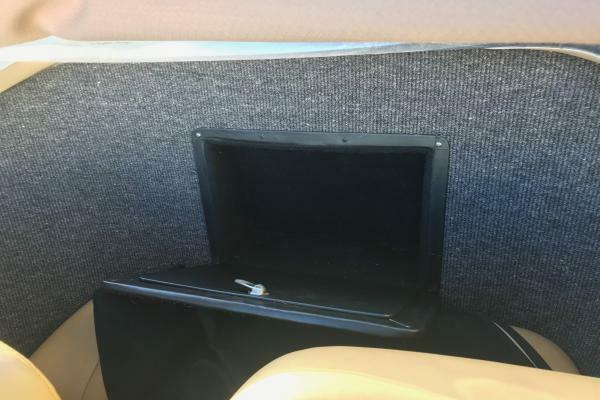 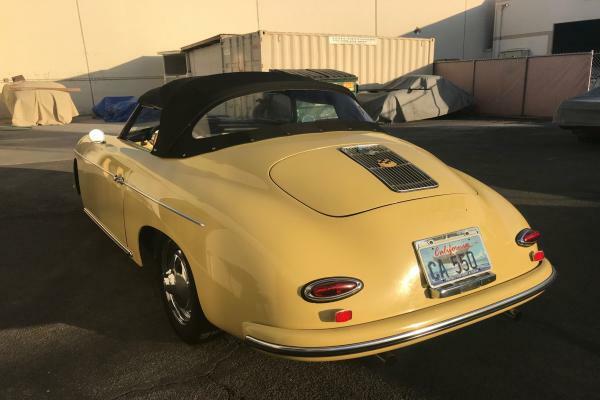 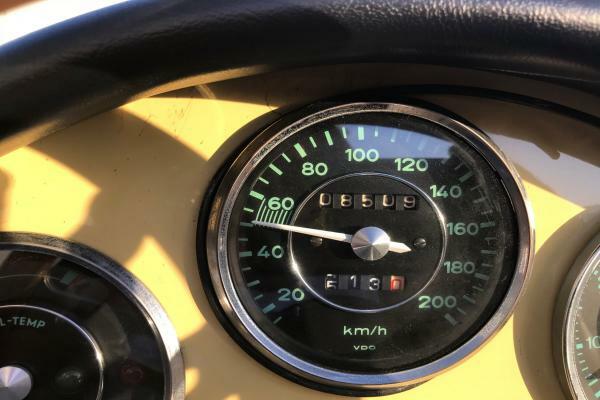 Low mileage California car. 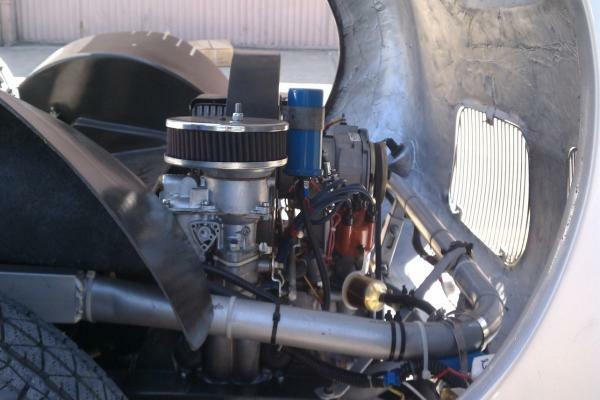 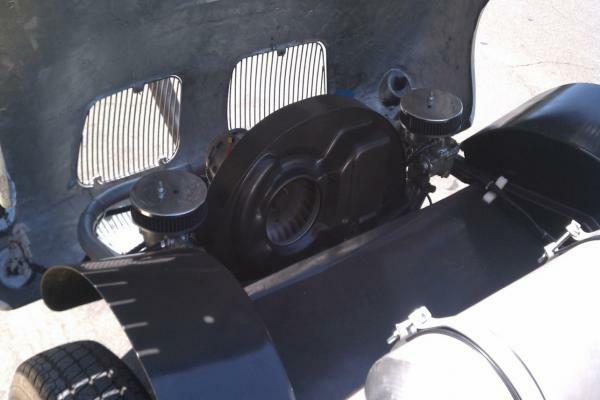 New built 1915cc VW Type 1 engine mated to a 4 speed VW Type 1 transaxle. 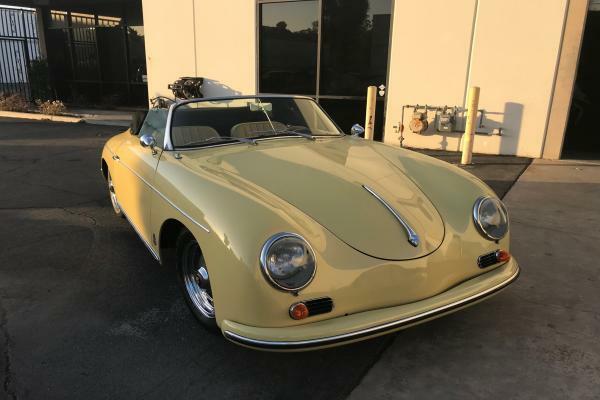 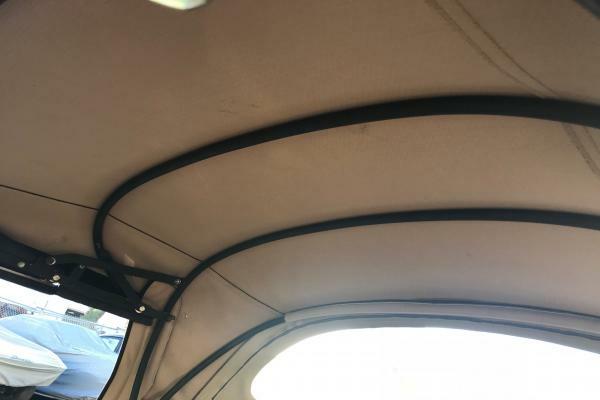 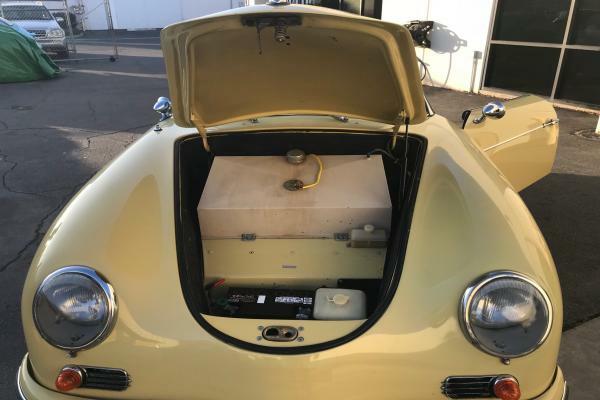 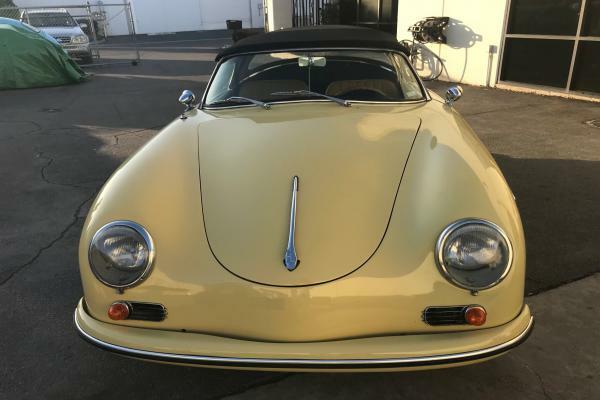 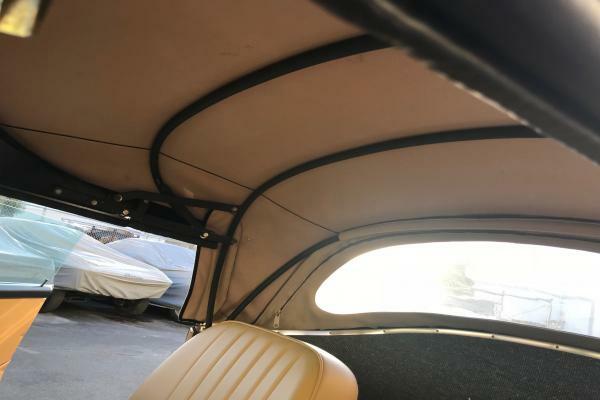 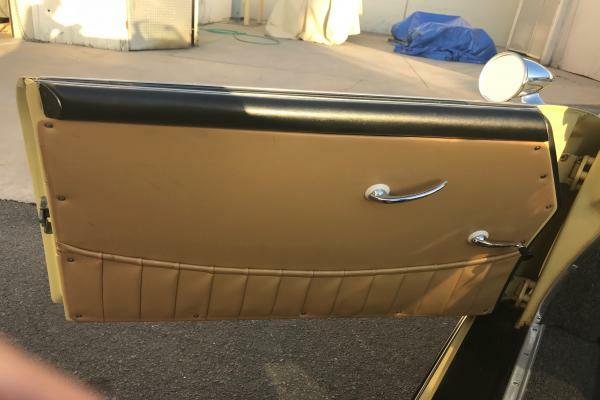 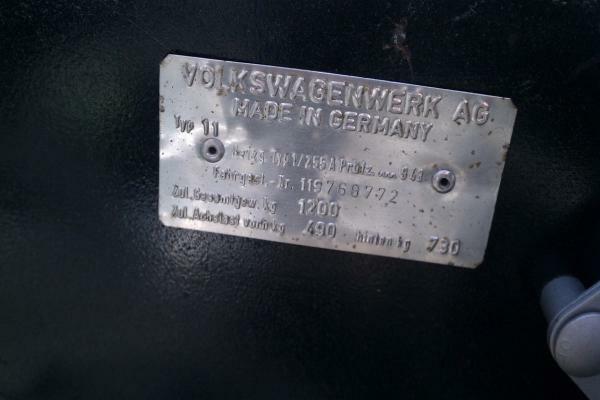 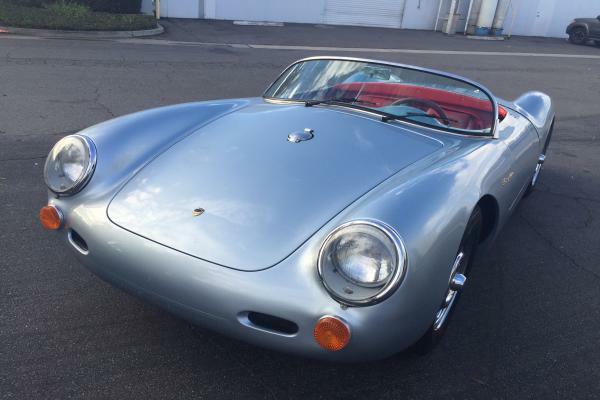 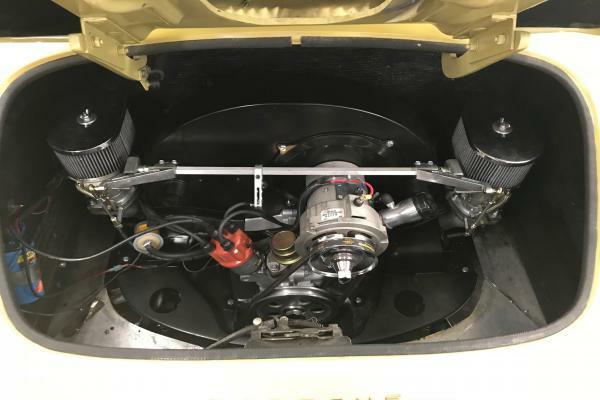 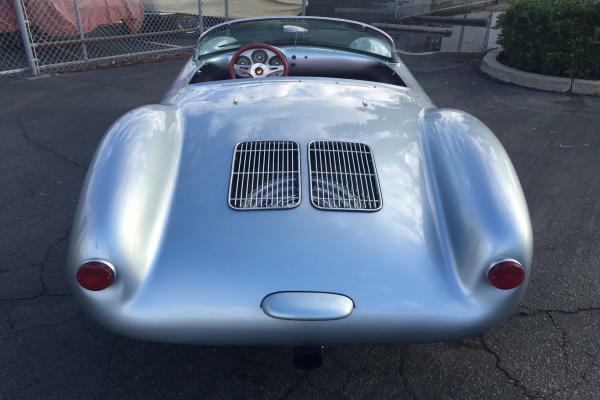 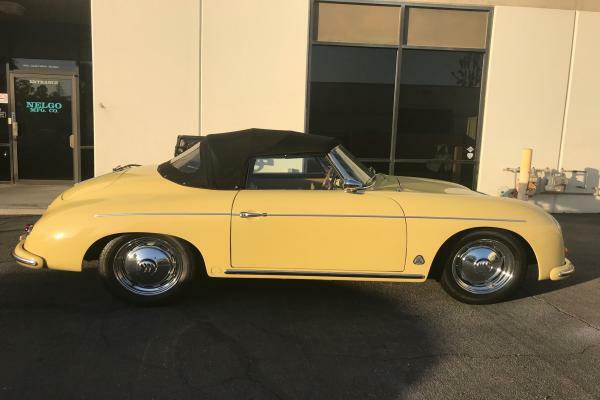 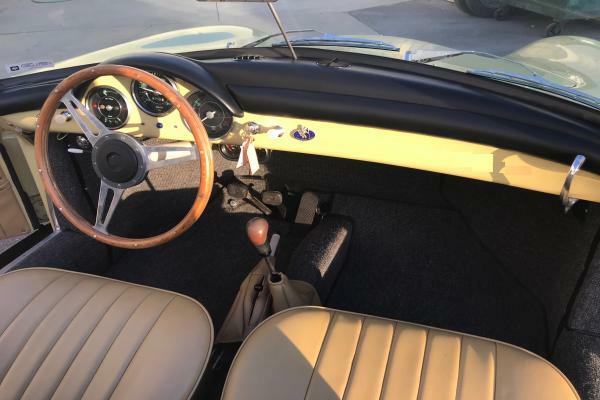 Original Factory Porsche 356 front and rear brakes, original German VDO 356 gauges and Derrington wood steering wheel give the car the authentic look. 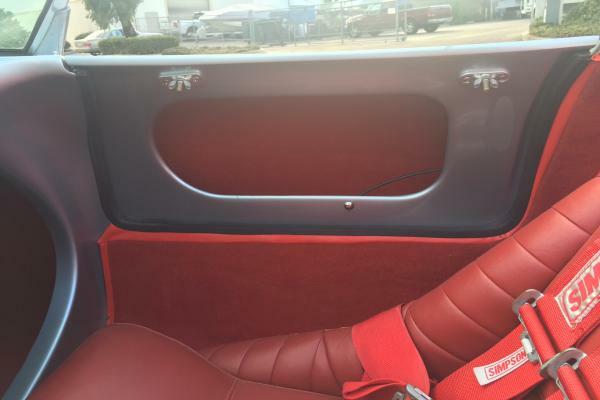 Extra options include rear lockable box, under dash oil pressure and temperature VDO gauges and safety cell gas tank. 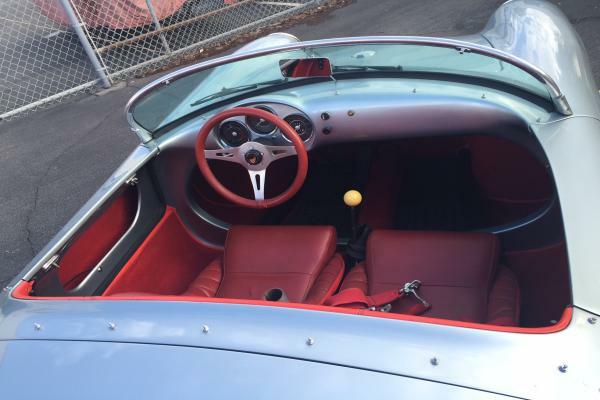 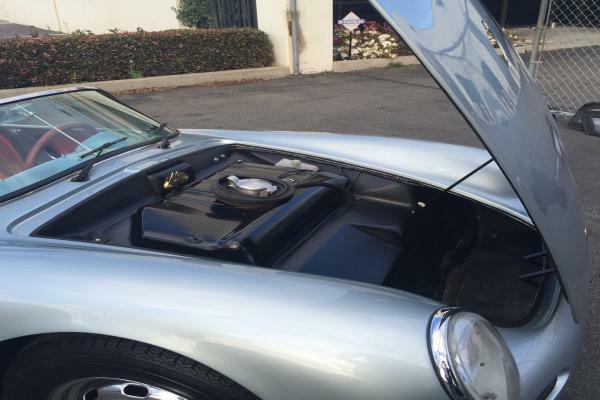 Produced by Intermeccanica in 3/88 qualifies this roadster to be imported as a classic car for EU and Australia!